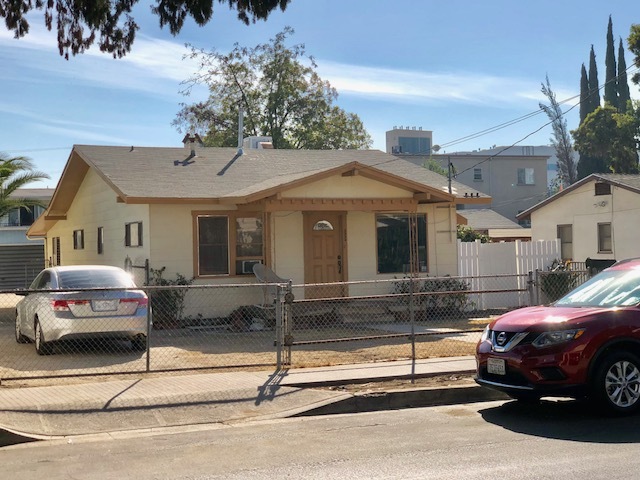 DESCRIPTION: GREAT OPPORTUNITY TO BUY A 2 BEDROOM, 1 BATH FIXER HOME ON A R4 TIER 3 LOT (SUBJECT TO GENERAL PLAN CONFIRMATION) IN THE NORTH HOLLYWOOD ARTS DISTRICT AREA. TREMENDOUS POSSIBLE DEVELOPMENT OPPORTUNITY. BUYERS SHOULD CHECK WITH THE CITY FOR CURRENT BUILDING RESTRICTIONS AND REQUIREMENTS. PHASE I REPORT AVAILABLE UPON REQUEST. BUYERS TO VERIFY ALL PERMITS. NO COURT CONFIRMATION. LOT SIZE: 7,265± SQ. FT.